Nintendo Software Technology - as we've reported in the past - has endured a troubled history of late. The studio responsible for Wave Race: Blue Storm and Mario vs. Donkey Kong was once a major player in Nintendo's network of internal studios, but the costly disaster that was Project H.A.M.M.E.R. resulted in a massive exodus of talent and NST being limited in terms of what projects it was allowed to handle. The studio is now primarily a digital-only outfit - it's last release was Mario vs. Donkey Kong: Tipping Stars on the Wii U and 3DS eShops - and we've been giving information on its next venture, a free-to-play title for Wii U and 3DS which will use amiibo to unlock content. According to our source - who is familiar with NST and the project - the game is apparently finished and expected to launch at the start of 2016 in North America. 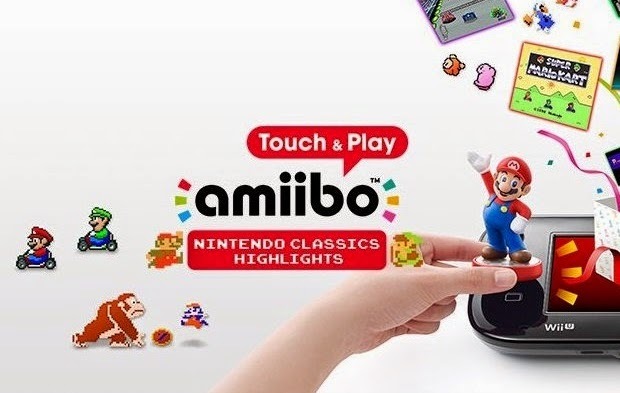 It will be free to download for any player who owns a compatible amiibo, but we've been told that this is part of a special promotional campaign, which means it could become a paid-for release after a period of time. To confuse matters, Nintendo of Europe is apparently keen to release it as an entirely free download later in the year. In other news relating to NST, a recent job ad suggested that the studio was looking into developing smartphone games. We've since found out that the ad listing was posted somewhat ahead of time at the behest of Shigeki Yamashiro, NST's president. Yamashiro is, according to our source, exploring the possibility of turning NST into a totally mobile studio, although it is understood that no mobile games have actually entered production as of today - NCL has yet to give its blessing to the proposed shift. We've also been told that NST's staff are less than happy with the idea - which is hardly surprising, when you consider that many of them will have signed up to work on Nintendo's own hardware, not smartphones. As of now, it would appear that the proposal is still just that, and no firm decision has been made on the future of NST. We should stress that while we have the utmost confidence in our source, some of the above details may be subject to change and should be treated as rumour until official confirmation arrives from Nintendo itself. Your developers do not want to work on mobile games so stop forcing them to. Use mobile as your key source to get people be aware of your products and games but never drop yourself to the level of other 3rd party corps that went the mobile route. This is the perfect opportunity for my idea for an amiibo RPG to come to fruition. It would be your stereotypical turn-based RPG, but all of your party members are amiibo you scanned in, meaning that if you have a big collection you can replay it over and over again and have different experiences. All first-party amiibo figures would be compatible (because 400 Animal Crossing cards seems a tad unbalanced), and certain characters would belong to certain classes depending on their characteristics. Some characters like Mario and Luigi might have the opportunity to change classes at points in-game, to correspond with their numerous powerups. This of course probably isn't what NST is developing, but it's just an idea I've been milling about. All of that makes some degree of sense, they had to make a game that was compatible with all amiibo eventually, one that actively requires an amiibo to work. Interesting to see that it is 'free-to-play', though I'm confident that will be changed to 'free-to-start/download once it's announced. Though of course there's no juicy details about how the amiibo will be used and what type of game it is. Did your source learn about this information and you're going to disclose it at a later date or did he switch off at that part of the meeting?
. Is it a platformer?
. Is Mario on the cover of the game or heavily featured in the branding of it?
. Does the title have 'super' in it?
. Is it lame? (In your opinion).
. Are you making stuff up? I jest, I jest.
. When will we next get an update either from your source or official confirmation from Nintendo themselves?
. Does your source know who 'won' the Smash ballot?
. What's your source's favourite colour?
. What's your favourite type of sauce? @LiamR Ooooooh, you wrote the article! I'm sorry I said that, I'm a huge doofus! It's a shame it's not an RPG, though. Is there anything else you are at liberty to tell us? @retro_player_22 Except this is nothing to do with Nintendo as they themselves said that they won't focus too much on mobile. Finally, besides smash and Mario Maker I can put my collection to work! I hope this is real, I'm hyped and I'm sure those who waited for the popular amiibos when released are. Not surprised, if anything I'm surprised it's taken Nintendo this long. Back when amiibo was announced at E3 2014, I thought an amiibo game would be released say late 2014/early 2015 to compete again Disney Infinity, Skylanders and what would become Lego Dimensions. As for the mobile thing, it's really sad seeing how lots of possible great things such as Mario Kart 8 DLC packs 3 and 4 got shafted because of smartphone game development. @Grumblevolcano I agree with the first half of your comment, I would've expected to hear about a big amiibo game by now, mabye for NX if this isn't it? It's gotta happen eventually. But what are you saying there with the second half of your comment? Granted, I've not played on Mario Kart 8 all that much, but I was sure there was only ever going to be 2 packs, and that's definitely all that Nintendo announced. And what does it have to do with smartphones? I'm confused. Amiibo game would be brill for all Nintendo platforms and if mobiles/cell phones can do NFC then that would be wise too do something with the Amiibos. I feel like this is what Animal Crossing Amiibo Festival should have been. If they'd made basically the same game but as just 'Amiibo Festival' and made it work with all amiibo I think people would have been a lot more welcoming. Based on the studio, it's more likely to be amibo Greatest Hits 2 or something else nobody wants to play than an actual fun game. Though considering how well HHD seems to be doing I suppose there is a pretty big market for games nobody wants to play. OK, here's my joke game - an art program where each amiibo unlocks a different color. That's about the extent of my expectations while I wait for Subspace Emissary 2 or Poke park 3. I would like some more usage for Amiibo. ....Should I feel bad that I clicked on the article just because I saw WFT in the pic? Still need her and villager (and Robin). I've been pretty satisfied with amiibo support so far (mainly because I have a ton of the games that use them so I'm scanning them in daily) but if they did a skylanders/di/ld game I would be thrilled. The nintendo library is so expansive that the amount of content they can create for 'Worlds' would be insane. This would be great, since I already have twenty-something amiibos. @chardir Agreed; I feel Amiibo Festival would have been much more appealing if it wasn't limited to Animal Crossing Amiibo's, which at the time of the game's announcement, none had been released. Ironically, Animal Crossing: Amiibo Festival was the most interested I'd ever been in an Animal Crossing game. The amiibo aspect though was what put me off trying it, given that I'm not a fan of Animal Crossing, it seemed odd to get a game where I would need to buy figurines of the series to play. @TheLastLugia Shortly after the release of DLC pack 2 it was announced that the MK8 DLC team were being "promoted" to working on smartphone games. Had that not happened maybe there would've been more DLC and ended possibly around the same time as Smash DLC. @TheLastLugia "free-to-start" is a marketing term from Nintendo. Basically, "free-to-play" (f2p) has such bad reputation that they wanted to use another name. It is the same thing. Nintendo of America, the region that can barely stock Amiibos, places far too much emphasis on them. A free RPG game that requires amiibo to play and each character has different moves would be a great idea and it's amazing that this hasn't happened it. It would give a much needed use for the amiibo. So just like the Amiibo VC Demo thing then? I've always thought a Nintendoland 2 where scanning different figures unlocks different attractions would be pretty swell. Especially if they all had stamps and crowns and whatnot. For instance, scanning any Mario-related amiibo could get Mario Chase (again just as an example) and then further amiibos could unlock new costumes like Luigi or DK. I dunno, that's just my thought. Considering I have pretty much all the major amiibo thus far (all Smash ones, all Mario ones, Woolly World, Splatoon, Animal Crossing, etc), I'm pretty much already set for that game I guess. I wonder what it could be. It better not be amiibo tap 2 or anything like that. Just so long as I get good use out of my amiibo (especially the Yoshi ones), I'm good. @Therad nope that is technically not true at all. Free-to-play indicates that it is possible to play the game without paying for anything, a good example of this being DC Universe or Candy Crush. There is a so-called 'freemium' experience with those games, where you will need to pay if you want to get the most out of them or if you want to play them for a long period of time, but someone can play them to some degree without paying. That's where it differs from Nintendo Badge Arcade, Dungeon Keeper Mobile or how this game sounds. They all outright demand money otherwise they are unplayable, which led to heavy backlash being directed at EA (of course) for marketing Dungeon Keeper Mobile as 'free-to-play' in their adverts for the game, something that was not true at all as you would be left waiting days for a single block to be built without paying. They subsequently charged it to 'free-to-download' after being threatened with legal action. So nope they are not the same thing. It is far more honest to be open about your product from the get-go as Nintendo have been doing, rather than tricking people like EA were. That's why I would have liked clarification as to where this leans on the free-to-play scale. I hate SCamiibo. I hope this isn't true and poor NST. Haven't they been tortured enough? sighs This isn't exactly the amiibo game I was hoping for. Oh well, maybe next time. Please please stop with the only-digital crap, if Europe can do it, If they can translate a game in like 3 different languages why cant you? I mean you are all part of the same team right? I dont care what game this is, but please, do things right for once.. or at least explain why releasing a retail game, even if in a small batch would be such a loss for you while for others, even indie developers, it isn´t... remember that if the wii u sold 10 million it was mostly because of the fans, because u didnt a really poor job trying to sell it to the masses.. so giving back once in a while isn´t a terrible idea.. I think part of the reason they can't find talent is that they never put out any job ads as they keep bleeding what talent they did have. @rjejr Finally, someone who actually believes Subspace Emissary 2 can actually be a thing with amiibo (well, I'm guessing that's what you mean because telling by your mood, you might well mean something else ). I mean, what describes an amiibo adventure starring Nintendo characters and villains coming together to stop a malicious evil better than Subspace Emissary 2? I get that most people disliked it, but it's perfect for a toys-to-life game, IMO. You could level up your characters, give them gear, traverse through varieties of Nintendo worlds.... Dang, the possibilities are endless. And the freemium exploitation begins. Also I agree with the staff, as a programmer myself I HATE mobile. Which is annoying cause it seems like the entire programming field is shifting to mobile and web stuff. Mobile titles with NFC chip functions. This is what we get for buying into both amiibos and things like Pokémon Shuffle. (Well, I didn't, but still...) It's been denied for so long that Nintendo would go for the mobile path to this degree... And yet, here it is, in plain view. NX and mobile. That's Nintendo's near future. How naïve we are, to have believed Nintendo's PR and think it would turn out any differently than this. Since amiibo were first announced last year, and we found out there wouldn't be a Subspace Emissary sequel, I've been waiting for a spin-off Subspace Emissary game featuring amiibo. As much as I prefer open world 3D games over 2D, 2D is what Nitneod does, so it kind of makes sense. And the first game already had the perfect set-up for amiibo usage, getting to choose characters to complete each level. It's a perfect match. And I already have a great fun idea for them to use as a premise. Bowser and Ganadorf somehow cross paths - Magikoopa accidentally summons Gandadorf or something - and they agree to swap jobs - Bowser captures Zelda, Ganandorf captures Peach - then Mario has to fight his way thru Hyrule jumping on skeleton heads and Link has to fight his way thru the Mushroom Kingdom slashing Goombas with his sword. It's sort of tongue in check like the Paper Mario or Mario and Luigi games. I think it could be really fun. Mario and Link would both be playable w/o amiibo, other amiibo would add in their respective playable characters. Subspace Emissary was so good, would be a shame for them not to follow up on it. And the amiibo need a game. Seeing as I'm guessing you actually have to have a couple of Amiibo to play the game in the first place, maybe they should do something like, game costs £30 but if you have 3 different amiibo then the game is free or something along those lines. Or the game decreases by £5 for every amiibo you own, there should be some sort of reward for buying all these amiibo. I'd be okay with a free-to-play amiibo game as long as the only money involved is actually purchasing the amiibo themselves. If you have to purchase amiibo AND pay money in-game to experience the full game, that would be horrible. NST is in Miyamoto's doghouse. @TheLastLugia nintendo badge arcade gives you one free fetch each day, or if you want to play more you can pay. You can also get more through other means. In candy crush you have lives which you lose after a lost level. If you want to play again, you have to pay a fee or wait. @Therad not technically true again, you are most certainly not guaranteed a free play every day in Nintendo Badge Arcade, and you can at least play Candy Crush without paying was my point. Anyway forget those two examples as they weren't the best, the best is the one you conveniently ignore, when EA had to change Dungeon Keeper Mobile under the threat of legal action. That is where the difference between 'free-to-play' and 'free-to-start/download' is best seen. Did you play Dungeon Keeper Mobile for more than 5 minutes without paying? Of course not, it's virtually impossible, because that's how greedy EA designed it to be. And the same is true for this amiibo game concept. Nintendo absolutely cannot call this a free-to-play game if it requires the purchase of a £11 amiibo to play. It will be a free download according to the article, and that's how Nintendo will refer to it. @ikki5 so the amiibo should be free? @TeeJay unless you already have compatible amiibo. @TheLastLugia you are wrong about dungeon keeper, they haven't changed it, at least not because of legality. A uk court found that they had no mentions of in app purchases in their ads. And no, it is the same principle. Make it hard to continue without paying. This is what nintendo means with free to start, dungeon keepers model. Which ea still calls free to play. Seeing that video has made me really want a new Wave Race and 1080 game. I feel like requiring Amiibo be carried around heavily defeats the appeal of smartphone games. Heck, I'm against it for consoles in the first place. I'd rather have DLC than be asked to buy and possibly carry around low quality figures I don't want and take up physical space. I feel bad for NST. Just because of one failed project, they get the shaft and only get to do minor projects, which the failure of said project was mostly thanks to Nintendo higher ups. I love Nintendo, but they've really fallen into a rut this year with mostly weak software offerings, and the emergence of how that inner conflict happened, all I can say is I hope Nintendo have realized how ridiculous they've been and are working hard to fix their situation, and will allow their internal studios more creative control so we see more new IPs when the NX hits. If Nintendo kills Wave Race Nintendo is dead for me. @VanillaLake You can't kill what's already dead. @JesWood13 I deeply sympathize for NST, but Project H.A.M.M.E.R. was no small oversight in developement. It cost Nintendo millions of dollars. For what it's worth, NST chose to work on the Mario vs. Donkey Kong franchise, so it's not like they are completely helpless in the company. But as it were, the core staff of NST should not be at fault for the misguidance of the division's manager at the time of H.A.M.M.E.R. 's developement. The staff members are actually quite talented. I would rather see Nintendo's fans come to NST's defense, as the higher executives are likely to at least awknowledge the complaint. It could lead to something more. @the101 still tough compare that to nintendo's failures. How much did the wiiU cost them? Or the VB? I understand keeping someone on a short leash after something like that but it just kind of feels a bit extreme. @Yorumi They seem to be in the black now with the Wii U. VB on the other hand was a disaster. Actually, didn't Gunpei resign thanks to the VB? @LztheQuack It's hard to say cause they always say it's selling at a profit on each unit sold but that doesn't necessarily mean they made back R&D costs and just the overall cost of bringing the system to market. And when you factor in the need to R&D a new console early it makes you wonder even more. But anyway the basic point was just that nintendo themselves screws up at times. @TheLastLugia That's not true, sometimes you don't get a free play if the bunny doesn't give you one and you don't get enough badges in the practice catcher. @Grumblevolcano That's inaccurate. Only Mario Kart 8's producer was assigned to mobile development. Not the entire MK8 team. @TheLastLugia is right, there wouldn't have been anymore DLC packs even if the producer hadn't been moved. @retro_player_22 Though I don't want to see mobile games made, when your boss tells you to do something, you do it. Otherwise, you get to go looking for a new boss. It's a rumor, but it makes sense. It's not like this studio does anything worthwhile beyond Mario vs DK, and the last couple of entries aren't exactly innovating anymore, just more of the same. Love the series, but it could use some new energy. How people don't get it.. Nintendo is trying all to get back people and money they "lost" with Wii U. It's not like they want to make free games on mobile and get out of console business. I think it's a smart move - to get audience, sell some IAP and maybe sell some amiibo with console by the way. At any point in a level you can tap an amiibo to the controller to unlock that character. For example, tap the mario amiibo and the mini will start shooting fire balls. Sorry guys, my attempt at a fake news. @mushroomer Better yet, it could be a free to start game called Amiibo and Mii. Where you have go pay micro transactions (ala Miitomo) to satisfy the Amiibo's request to... Do the important thing with the clothes or something like that, or else you have to settle for the free crappy ones (which would make them chastise you for being a miser). Then, your Mii needs to buy presents to win the amiibo's affection, BUT you get them out of a claw machine using tokens paid for by your money. Then you have to buy drinks to quench their thirst, but the waiter holds out his hand for the tip at the end of the date, and if you don't pay it in real money, he goes ballistic and violently crashes the game and uninstalls it automatically! You get the cynicism that makes me giggle award! I'm not far from you though. A new game for dedicated hardware coming soon from a studio that Nintendo must have been so impressed with that it wants to relegate the studio to mobile development! It just doesn't instill much confidence. Still, I'm holding out hope for something fun to do with our amiibo even if it is simple. NST used to be so great. That behind-the-scenes video on Project H.A.M.M.E.R was heart-breaking. @Yorumi Well, not many resources seem to have been put into the Virtual Console anyways, and it benefits from having been developed by Nintendo's internal Japanese divisions, rather an a more "minor" US division. You can't punish the people of the core company, because you then don't have the company. As for Wii U, it didn't exist at the time so that's not really a fair comparision. I honesly feel the Wii U is doing much better than people realize. Is it a success? Hell no. But it hasn't done so much worse than the GameCube performed. I just hope it was better than the last "Free To Play" amiibo software. 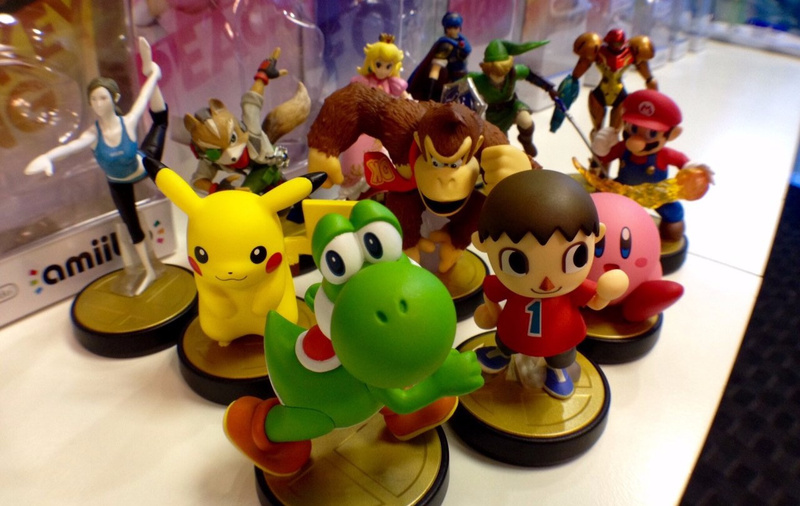 The Amiibo game is inevitable and feels like something that Nintendo need to do. Relegating NST to mobile development is very harsh but typical of modern Nintendo. If you're not a Japanese dev you're pushed into the background. Ok here is an example of how much Nintendo gives to toys to life video game fans through amiibo. I bought the last Super Smash Bros Bowser Amiibo on the Toys R Us' website earlier this month but instead received the newer Mario Party WiiU version. Well I was sad since I was told and my research concluded that the Mario Party Bowser Amiibo was not compatible with Super Smash Bros but I gave it a try any way on my 3DS the night before last for the heck of it and guess what? He is! Mario Party Bowser Amiibo is totally compatible with Super Smash Bros which prevents me from having to buy the 1st Bowser amiibo to use in my Smash Bros games. So this really made my night and now I don't feel stuck with a piece that is compatible with a game I didn't yet have, Mario Party WiiU. And don't have to try and hunt down the rarer first Amiibo of Bowser. Pretty cool huh? Amiibo's are awesome and if Nintendo decides to make a full on toys to life game using Amiibo characters I am totally in from this experience I shared above. Thanks for reading what I had to say and go bust out your newer Amiibo versions and let me know if they work on your Super Smash Bros games as well. @aaronsullivan Thanks, and your welcome. And nice use of that italicized so. @Barbiegurl777 people don't use smart phones to talk much either. It's other immediate communications, quick access to useful information, and intermittent gaming. @rjejr we aren't doing LEGO D yet. DI this year ... again. Star Wars really helps because my kids are into it this year. My six year old is a bit too hooked into to gaming lately so we are trying not to saturate him with it. It's hard! So real LEGOs are where it's at for us right now. At least he's very social about it. He always wants us all to play together. That's the best way to game for him. @aaronsullivan Thanks. I'm still debating, you know me, takes 3 days to make even the simplest of decisions, I'm the Indecider. Will probably just let my wife the bread-winner decide this one. It's not like we need it, have those 2 board games to play which I'm really looking forward to, I just feel bad 1 kid is getting a game he really wants and the other kid is getting a cellphone he doesn't care about, but 3 of his teachers have them use them in class. Which still blows my mind, the principal says not to bring them to school, and 3 teachers have them look stuff up online during class on their phones. It's madness. Thanks again. NST is perfectly suited for this. NST has never made a good retail game or a decent selling game ever! They are probably better off on mobile. I hear you on people using them in wasteful, disruptive, and anti-social ways. But that is a choice being made about how to use them not a fault with the devices themselves. Not trying to be argumentative here, but you left out the first purpose I mentioned: immediate communications. People just tend to text, message, send short audio messages, video calls to people they've lost touch with around the world, keep connections through Facebook (not everyone abuses that) while barely making voice calls. This is something I noticed when I started looking at bigger sized smart phones. At first I thought I wouldn't enjoy them until I realized that I wasn't using it held up to my face very much anymore. Texting when handled responsibly is a great communication method that doesn't need to interrupt a person who is already talking face-to-face or getting work done or just needing some peace and quiet. Also, "just check the internet" is a dismissive way of summing that idea up. I get travel directions, I look up information for work and stay in touch with my students instantly with help in their learning because I have the phone with me at all times. When I'm thinking about an important issue I can get useful facts when and where I need them. Unfortunately, yes, they can be a distraction and people would be wise to use restraint but often don't. Sounds like you have a good head about it though. Probably you'll find them really useful one day. So, you might have noticed I'm a teacher. Your point about "do as I say not as I do" applies to some things, but I think their use of electronics in at least junior high and below when students can't in class, makes good sense to me. You, yourself, have pointed out how students use their phones in irresponsible ways. Meanwhile a teacher is more likely (hopefully!) to use it more responsibly. I've had "bad" teachers before myself so I know how discouraging it can be, though. I teach at the college level, and the incoming classes usually have a big transition when they realize that all the responsibility of learning is on their shoulders. The students who mismanage their time given all their new freedoms tend to do poorly. A good deal of them learn pretty quickly that if they just sit and surf the internet through class time, they aren't going to be learning and are just wasting time and money. It does take longer for it to dawn on some than others. We are so messed up this Xmas. Tree's not up. House is a mess. We have gifts for some, but as I'm making lists for grandparents and family to get ideas for what the kids might want I'm realizing we barely have any gifts for the kids besides some of those things you know of already. I blame it on the weather. "NST has never made a good retail game"
Eh? Are you thinking of someone else? NST did Ridge Racer 64, Pokemon Puzzle League on the N64 and Wave Race Blue Storm. I'm not a fan of 1080 Avalanche or Metroid Prime Hunters but plenty of people are. All of those games are controversial in reviews and bombed in sales. @aaronsullivan "We are so messed up this Xmas." Tell me about it. We celebrated Christmas w/ my family this past Saturday, I was ill prepared. Only put up the Hanukkah decorations on Sunday, the last night, when my in-laws came over. But let me say it's very refreshing to talk to a guy who's involved with Christmas and shopping for the kids. But if you would stop giving the kids all the presents early for random reasons you would have a lot of presents already. I kid, I kid, I'm almost done. Wife KO'd LD, sorry for wasting your time on that. I still need to get her a gift though, the clock IS ticking on that one. Too bad that Bayoentta amiibo isn't out yet, I could have given it to her w/ the game. She has very good taste in games. I'm okay with a free-to-play amiibo game, so long as the figures themselves are the only "microtransactions" to be found. If they'd expect other sorts of payment on top of that, well... they can go jump off a cliff with that idea.